But today for lunch I prepared spaghetti with roasted tomatoes, mozzarella and arugula. 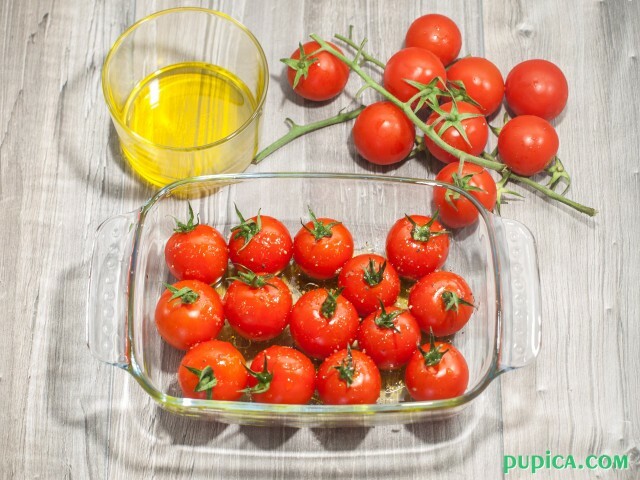 I love these three ingredients, that together with olives and basil make my top 5 ingredients list, especially in summer. It is such a delicious recipe that I could eat almost every day. It is also a versatile recipe and you can “play” with different condiments… By adding different herbs each time you prepare this recipe, you will make it taste different and there are so many flavorful herbs that you can add like thyme, rosemary, oregano or mint. You can also add sliced black olives. This time I prepared this recipe with spaghetti, but you can use any pasta shape, to tell you the truth this recipe would be even better with short pasta like penne rigate, casarecce or farfalle. 1Heat the oven to 180°C. 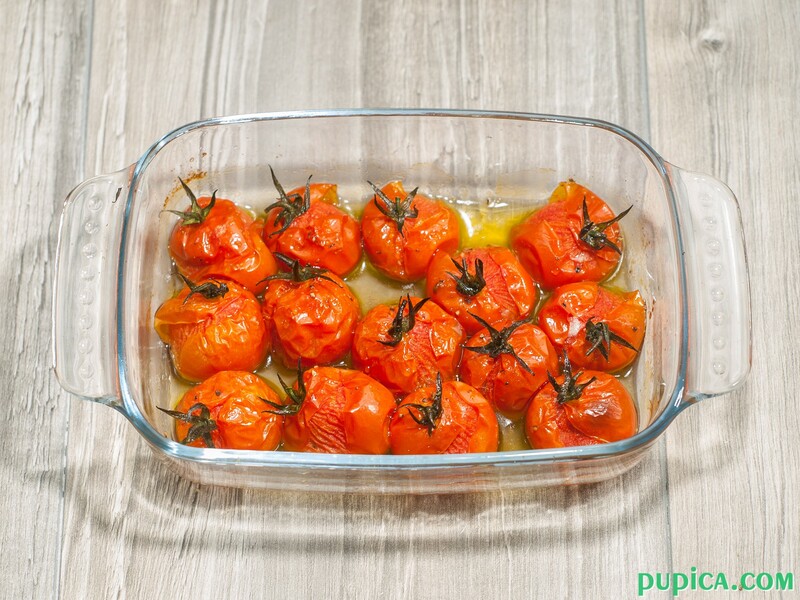 2Wash the tomatoes and put them on a baking sheet, drizzle over the olive oil and season with salt, pepper and thyme. 3Roast for 20 - 25 minutes. 4Bring a large pot of salted water to the boil and cook the pasta as indicated on the package. 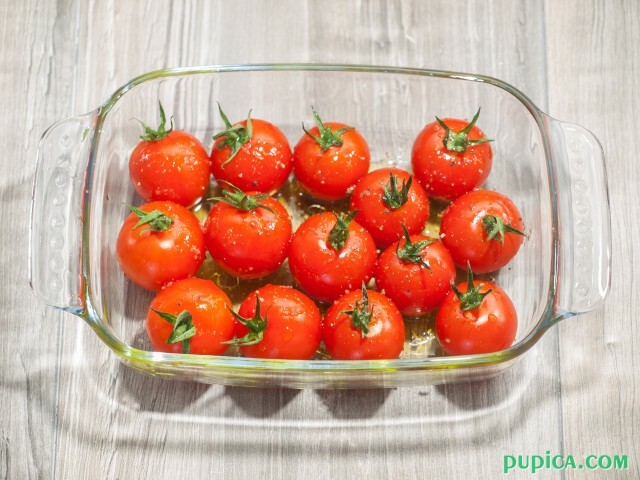 5Drain the pasta, put it in a large bowl and add 3 tbsp of extra virgin olive oil. 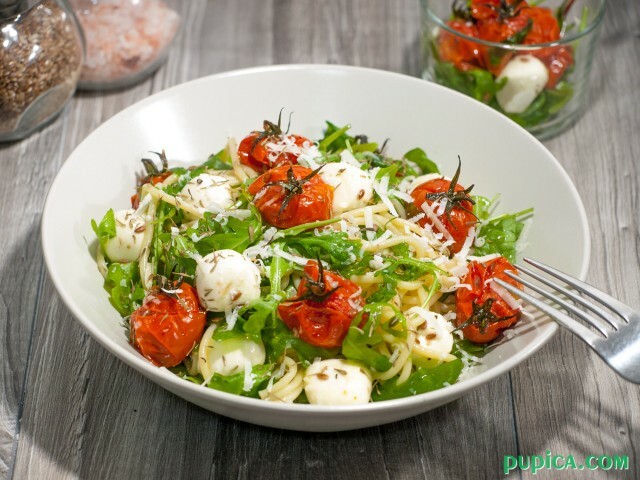 6Add roasted tomatoes, mozzarella pearls, arugula, Parmesan cheese and toss gently to coat.